NAUGATUCK — When Tim Walsh crossed the finish line of the Smilow Cancer Center Closer to Free fundraiser bicycle ride earlier this month in New Haven, it was the result of a combination of determination and some help from his friends. The annual bicycle ride raises money for the cancer center and features four courses of different lengths. 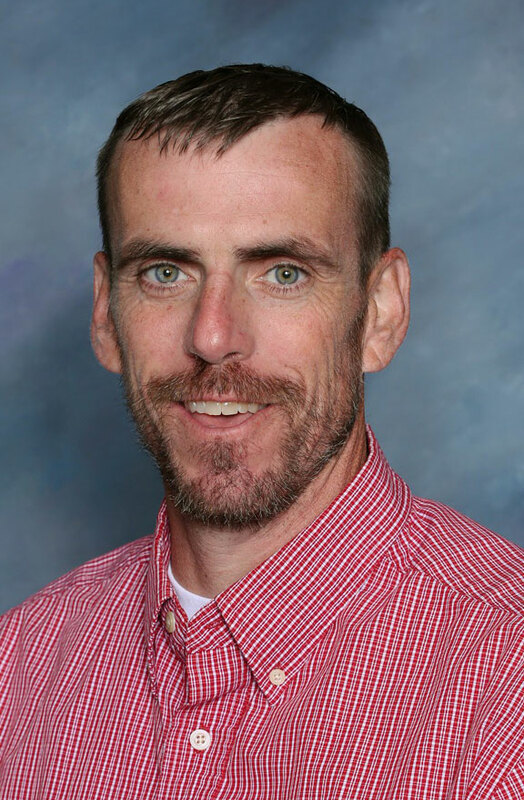 Walsh had hoped to ride across the finish line last year, but surgery to treat cancer prevented the 49-year-old Naugatuck High School social studies teacher from doing so. Walsh, a Naugatuck native who now lives in Middlebury, was diagnosed with stage 4 colon cancer in May 2017. When last year’s Closer to Free ride came around, Team Walsh, led by Naugatuck High custodian Doug Hale, rode in his honor. The team, formerly known as Blood, Sweat, Gears, and Tears, was made up of 23 people, half of which worked at Naugatuck High or in the Naugatuck school district. “If I could have done it last year, I would have,” Walsh added. It wasn’t the cancer or the chemotherapy that put the brakes on his ride last year, Walsh said, but the surgery to remove the cancer. At the time, Walsh decided he wouldn’t sit on the sidelines again this year. But, getting back to being healthy enough to ride a bicycle was a long road. “I had complications from surgery that prevented me from being active. It was something I struggled with when getting chemotherapy because the more active you are the better you can handle the treatments. And I was basically a couch potato,” Walsh said. Having been an avid runner and swimmer, sitting around and waiting to heal was difficult for Walsh. Knowing his wife, Naugatuck High English teacher Jill Walsh, had to do everything that he would normally be doing made it even harder. “She is running back and forth between the hospital and taking care of the kids. And I’m just watching TV,” Walsh said. When Walsh was able to begin riding again, he still wasn’t able to push himself too hard. “I would start working out and I would have to sit back and let myself heal again. I was trying to go in too quick before I fully healed,” Walsh said. Walsh said his competitive side, and the fact that his wife would be participating in the ride again this year, continued to drive him. “I’ve got a pretty competitive streak in me. I don’t like watching my wife ride away while I’m sucking wind,” Walsh said. Walsh only managed to get three training rides in before the event, with the last one about two weeks before the Sept. 8 ride. When he set out at the beginning of the ride, Walsh planned to do the 25-mile course. “Then I got on the course and there is a split where 25-milers go that way and the 40-milers went the other. I said that’s it, I’m doing the 40,” Walsh said. Walsh admitted there were a few times when he questioned his choice. “There were a couple moments, getting near the end at 30-plus miles, where I was almost regretting the decision. But, at the finish, not at all. Those fleeting moments of misery washed away,” Walsh said. Walsh said crossing the finishing line was an emotional moment, thinking about what he went through to get to that point and what his friends did to help him along the way. There were no signs of the cancer at a checkup this month, Walsh said, and he’s cautiously optimistic about his prognosis. “After this last follow-up I am fairly confident. But give me a year or two years. I will be more confident as time progresses,” Walsh said. 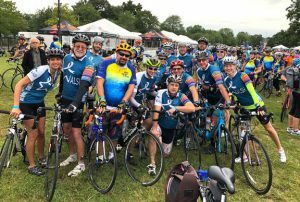 Walsh is already planning to ride again next year — although he’s lobbying for the team to change its name back to Blood, Sweat, Gears, and Tears — and the team has set its sights on raising $25,000, $2,500 more than this year. Walsh hopes to ride the 100-mile course next year and, in the coming years, compete in an ironman triathlon and an ultra-marathon that he had been planning to before he was diagnosed with cancer. “Will I ever get there? I don’t know. But these are things I will certainly work for,” Walsh said.